Charities and NGOs face crackdown on funding as Electoral Act weaponised by those opposed to human rights and equality. Civil society groups in Ireland are being unfairly targeted under a draconian law that can be used to criminalise campaigning organisations, Amnesty International Ireland said today. The organisation itself could face a criminal investigation and possible prosecution after being told by the Standards in Public Office Commission (SIPOC) that a foreign donation it received is prohibited by law. Amnesty International Ireland has been ordered to pay back a €137,000 grant received from the Open Society Foundations (OSF) last year. Failure to comply would be a criminal offence under the Electoral Act’s ‘third party’ provisions. The grant was made to support a campaign to ensure abortion laws in Ireland comply with human rights. Separately, Education Equality, a voluntary organisation made up of concerned parents, has been forced to return a donation it received for its campaign on equal access to education following a threat of possible criminal investigation and prosecution. Both the order to return the donation and the threat of criminal sanction have had a crippling impact on the group and its work. Numerous other organisations have also been impacted. “Ireland is targeting organisations purely for their work on human rights and equality issues. We believe this law contravenes Ireland’s obligations under international human rights law, including the rights to freedom of association and expression,” said Colm O’Gorman, Executive Director of Amnesty International Ireland. International human rights law is clear that there should be no distinction between the sources of funding, whether domestic, foreign or international. Civil society organisations’ ability to access funding from all of these sources is equally protected. States may regulate or limit funding only where this is necessary, and proportionate to a legitimate aim. A blanket ban on foreign funding can never be human rights compliant. Amnesty International Ireland has been informed by the Irish government’s regulatory body, the Standards in Public Office Commission (SIPOC) that it has broken the law by accepting funding for its human rights work from an international donor. The Electoral Act 1997, as amended in 2001, forbids overseas donations to what is vaguely defined as “third party” organisations for “political purposes”. However, SIPOC wrote to Amnesty International Ireland only last year to acknowledge that its work on reforming Ireland’s abortion laws, which includes the work supported by the OSF grant, was not in breach of the Act and that the organisation was not required to register as a “third party”. A year later, SIPOC has reversed its position without any material change to the facts. “Why SIPOC reversed its position on this funding is not clear. What we do know is that some domestic and international groups that oppose our work on the rights of women and girls, and some elements of the media, have been painting our campaign to reform Ireland’s abortion law as ‘controversial’ or ‘too political’. They have also portrayed foreign funding as somehow sinister,” said Colm O’Gorman. “This is despite major public support for expanding Ireland’s harsh abortion law and repealing the Eighth Amendment. It also overlooks the fact that Amnesty International is completely independent of any political ideology, economic interest or religion. SIPOC enforcement of the “third party” provision of the Electoral Act primarily involves responding to complaints it receives. In practice, this means its powers can be misused by certain groups or individuals that wish to target organisations working on particular issues, for example by bombarding SIPOC with complaints. Amnesty International believes SIPOC’s complaint mechanism and enforcement powers are being deliberately manipulated by individuals and groups who disagree with the organisation’s work. “It is entirely unacceptable that this flawed law is being weaponised by those who are opposed to a range of human rights and equality issues, such as abortion, sexual and reproductive rights and marriage equality,” said John Dalhuisen, Amnesty International’s Director for Europe and Central Asia. SIPOC itself has repeatedly highlighted the Electoral Act’s flaws. In 2003, it said the overly broad definition of “political purposes” meant it could unintentionally cover the work of a wide range of organisations that the law was not meant to regulate, explicitly naming Amnesty International in that list. The Electoral Act is also completely at odds with Ireland’s foreign policy. The Irish government itself funds civil society organisations in other countries campaigning on many issues, including human rights and social justice. 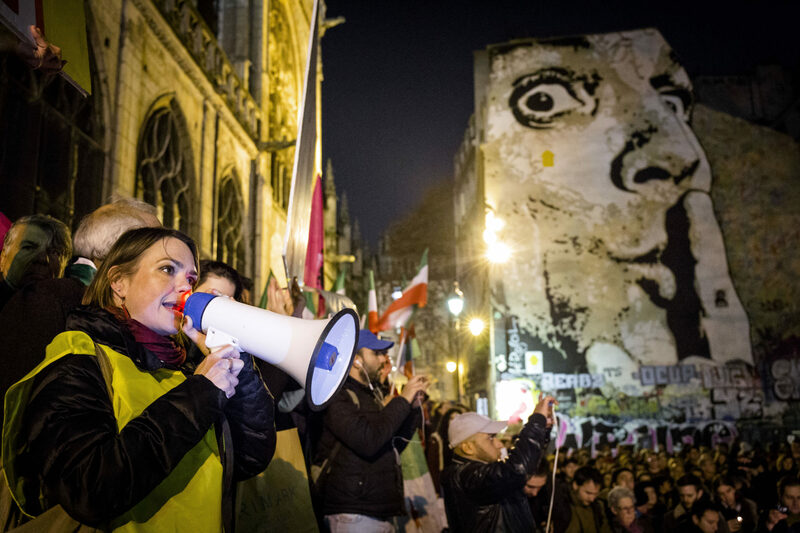 Ireland has also been one of the more active nations seeking to defend the space for civil society and protect against repressive legislation, including in countries such as Russia, Hungary and Egypt. “Despite SIPOC’s own concerns about the vagueness of the Electoral Act, some 14 years later it is now using this to unfairly apply the law to Amnesty International’s human rights work. The situation would be farcical were it not so disturbing,” said Colm O’Gorman. The root cause of these developments is the Electoral Act itself, most specifically the 2001 amendments, which allow civil society organisations’ funding to be denied or severely restricted simply for seeking to influence government policy. The Act requires urgent amendment to ensure that civil society organisations are not wrongfully punished by this law. Amnesty International, the Irish Council for Civil Liberties and Transparency International Ireland have previously urged the government to amend the Electoral Act and submitted proposals for straightforward amendments in July this year. “The Irish government cannot allow this to continue. It must urgently amend the Electoral Act to make it clear that it was never the intention of the legislature to target civil society and so punitively restrict their access to or criminalise their funding. Whether they are small local groups, charities, or national or international organisations, they should be free to go about their legitimate work without the threat of criminal sanctions and crippling barriers to securing funding for that work,” said Colm O’Gorman.